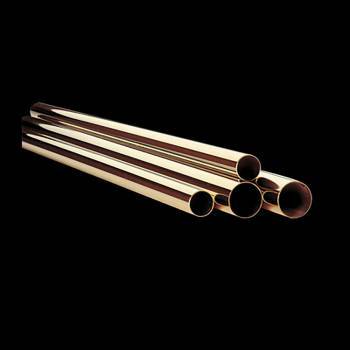 Bar Rail Polished Solid Brass Bar Rail Polished Brass Tubing 2 dia. Bar Rail. Create a stylish railing system with our polished brass railing. Building a bar? 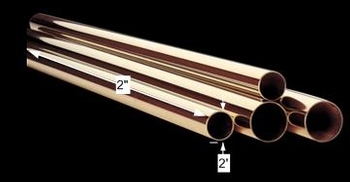 Browse one of the leading brass tubing suppliers for our 2 inch diameter bar brackets and railing connectors. Quality commercial grade fittings are ideal for balconies, stair rails, dance bars, bar rails and guard rails. Made of 100 percent solid brass this bar railing has a polished finish which requires some maintenance to keep a bright polished look. Our brass bar rails are 0.05 gauge. Rail tubing diameter is 2 in. and tubing length in 2 ft. long.